Opening the register takes just minutes. The process in which RWeb POS is opened makes it easy for users to manage a float and reconcile at the end of the business day. Once a user name is either entered or scanned, press the “Enter” button. Then a user will be asked to enter their password. 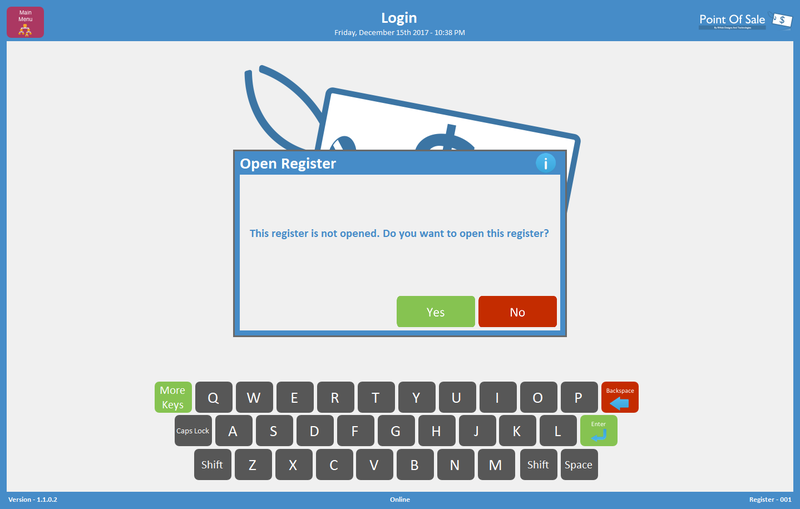 Enter a password, by use of the onscreen keyboard and then press “Enter”. Upon entering the credentials, they will now be authenticated by the server. If they are incorrect a user will be asked to reenter their details again. If the details are correct then a user will be prompted with the following message on screen. “This register is not open. Do you want to open this register?”. It this time in opening the, a user may also be prompted to install an update. If RWeb POS detects a new version of the software, it is always recommended to install these updates. Select “Yes” to open the register or “No” to cancel the process. Once a user selects “Yes”, the cash drawer should automatically open. 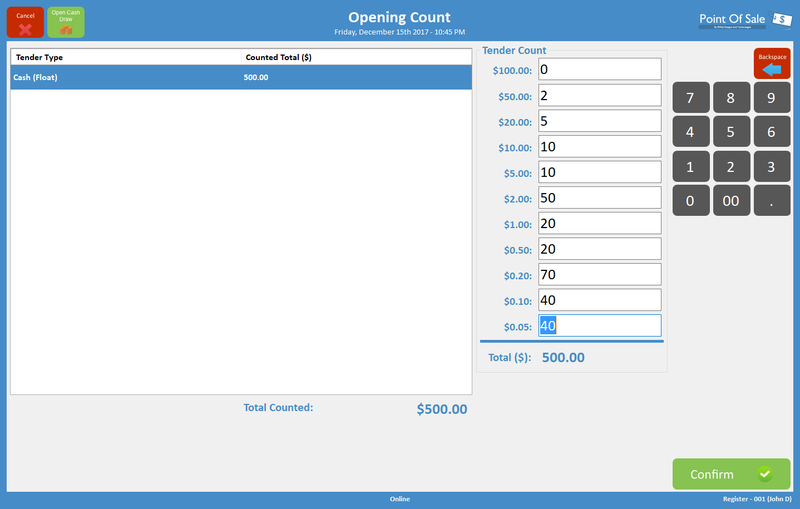 A user will then be presented with the “Opening Register Float” count screen, in which a user is required to count the opening float for the register. Select each denomination of currency and type into the relevant text box, the quantity of the denomination in which is counted. Don’t enter in the actual amount of the currency e.g $4.00 worth of 5-cent pieces. A user should enter in 40 into the 10 cent pieces field. The terminal will automatically calculate the total at the bottom of the screen as shown below. Once all denominations of currency that make up the opening float have been entered press on the “Open Register” button. A user will be asked to confirm that they have finished counting the opening float. If this is right select “Yes”. The register will now automatically load the “Sale” screen.